So somewhere out there… there must be a clear version of: Night And Day on a mastertrack. Thanks for your update. Came across a 16 inch record, that I didn't know to exist. Neat find, Peter. There's a book titled "The History of AFRTS: the First 50 Years." I need to get rid of a few books from my shelves before I can buy more, but that one's on my wish list. If things go well, I will have that AFRS book you mentioned too. I will keep you updated. I found a new Fitch Bandwagon 108 Transcription Record. A very nice Facebook friend: Karl Pearson transferred it to mp3. It has a very rare version of: "Swinging On A Star" by Doris Day, Butch Stone, The Foresters & Les Brown I hadn't heard before. This is really an unusual purchase. I don't have that kind of record player, though. The song was a #1 hit in 1943 for its writer, Louis Jordan, who also recorded it as side B of a V-disc in March of '44. Side A of that disc was a Les Brown recording of a different song, but it didn't feature Doris on the vocal. 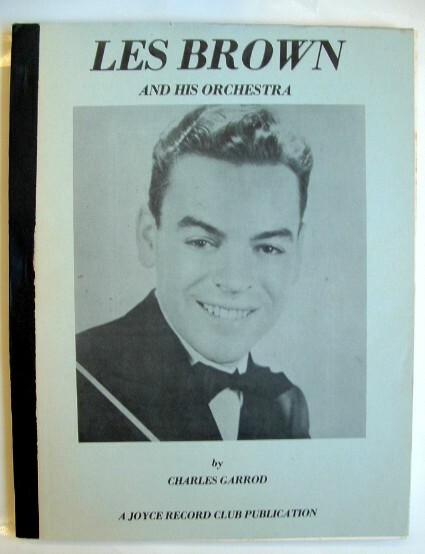 As far as the date of December 20, 1944 that's shown on your record, the only thing I can tell you is that Doris sang with Les Brown at the Hotel Pennsylvania on that date; however, my notes don't show which songs she sang that night. Wish I could help you, but I'm at a dead end on this one. Just updated our Doris Day Radio List. Not perfect, but a good start if your interested in Doris and friends on air. Found some more information about the Spotlight Bands below and deleted some double information. Came across another Fitch Bandwagon from 1944. Here are it's contents. Came across the information about the following one and a half show. First half part is missing. Thanks for replying. No this time it is an instrumental track. Thanks Peter and Texas for the informative and interesting discussion on Doris on Live Radio Shows, Les Brown and some other artists I am not familiar with. 4. 1946 - 1948 Starting her solo career on a different radioshows: Rudy Vallee, Jack Kirkwood, Your Hit Parade and others. This is the AFRS Transcription Record (16" inch) for Victory Parade Of Spotlight Bands. This show is been in the public domain for some years now. All bored with me bothering you with these old radio shows??? I love to dive into internet and find rare stuff. Today I came across a new release for 2019-01-18 on Amazon. The date for the first show is not correct and must be 1945-01-16 the AFRS One Night Stand number is 566. I will follow with a more detailed list later. Through my facebook friend Karl Pearson we now have the second two One Night Stand Shows available. 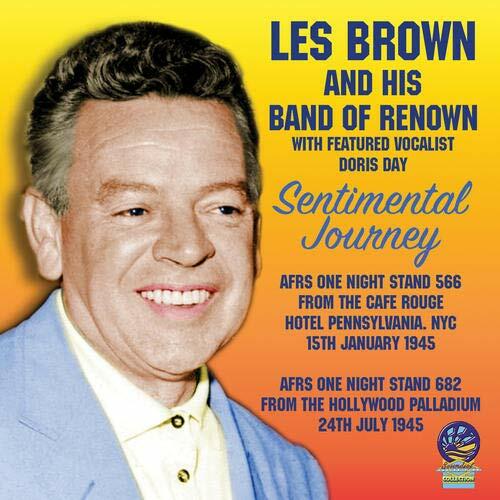 The Doris songs on the first show ONS#673 are available, two of the songs on ONS#701 weren't… We now have a much better version of: "A Stranger In Town" and a very special song: "Out Of This World" I have never heard Doris singing this way, Les once mentioned that Doris was magical with a lyrical ballad... I think this song is amazing, with Les superb backing behind it. Never heard Doris sing this way. Hope you all enjoy it too. Anyone listened to: "Out Of This World"??? I think it's amazing… Love to hear your thoughts.